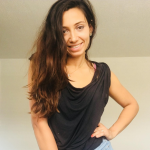 My name is Zoi am a Greek Cypriot and other half from chile.Am 24 years old and at the moment I leave in the Uk,i have been here from 2013 did all kind of jobs . Could say i build up my experience here over the past few years . Been working in coffee shops ,restaurants,hosting, modelling,cleaning, dogand cat sitting and au pair jobs off and on during this years. I pretty much can do anything from cleaning to cooking if you need and even do some sport activities as at the moment am a personal trainer. I also can help children that really likes art and drawing,that is my biggest passion and would love to help your children get creative. Aswell could help them with languages I speak Greek ,spanish,portuges and English all spoken and written well. I've worked for a hole year in Cyprus taking care for two lovely children's of age 12 and 3 witch also i continued here in august 2013 . Just ask me for days you need and everyweek I updated as I work different hours.